Poll of the Week: Most Challenging Position to Sim? No matter what ship you write on, what position your character fulfills, or what department they’re attached to, he, she or ner has an important role in the smooth operation of the vessel. We’d not get far without helmsmen or engineers, exploration would be a drag without our scientists and specialists, and the crew would certainly falter without the skills of the medical and counseling staff. The shared usefulness of these departments, however, is where their similarities end. Each has a different expectation, a different goal, and different challenges when it comes to simming for them. Finding a way to engage an engineer in the plot without having something break can often be something of a struggle. Coming up with a way to keep a counselor relevant in a given story is another often-cited problem. A medical officer needs some degree of understanding when it comes to the art of healing- not exactly an easy prospect when a writer’s only aid is a knowledge of biology, and a few loose threads shown in canon. The same might be said for a science officer. The rest have their own obstacles. With these limitations in mind (and others that you’ve encountered in simming for a duty post) which department is the most difficult to sim for? Give us your vote, and let us know your reasons in the comments section below! The post Poll of the Week: Most Challenging Position to Sim? 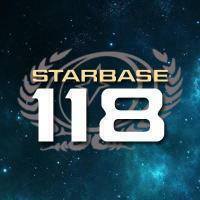 appeared first on UFOP: StarBase 118 Star Trek RPG.